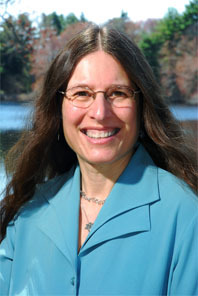 Dr. Tamara Shapiro Ledley is a STEM education consultant, Earth and climate scientist, and Adjunct Professor at Bentley University. She was a 2017 Harvard Advanced Leadership Fellow (http://advancedleadership.harvard.edu) where she explored her interests in making climate change education efforts scalable and financially sustainable and to leverage these efforts to enable all climate change stakeholders to align efforts to address the local impacts of climate change. She served as a senior scientist and chair of the Center for STEM Teaching and Learning at TERC (http://www.terc.edu) for 20 years. She received her PhD from MIT in atmospheric and climate science and her BS from the University of Maryland in astronomy. Early in her career she led a research program in Earth system science and climate change at Rice University. She joined TERC in 1997 to pursue her science education interests. She led the development of the award winning Earth Exploration Toolbook. She led the development the Climate Literacy and Energy Awareness Network (CLEAN) Collection of rigorously reviewed climate and energy educational resources and has chaired of the CLEAN Network, a professionally diverse community of climate and energy literacy stakeholders. She also led the EarthLabs project that focuses on development of curriculum materials, teacher professional development programs, and science education research focused enabling the effective teaching and learning of climate science. She is the 2013 American Geophysical Union's Excellence in Geophysical Education Awardee for her work in bring Earth science data and tools to teachers and students and for her leadership in climate literacy. She serves on the CLEAN Network Leadership Board, the External Advisory Board of the Byrd Polar Research Center at The Ohio State University, the Board of Overseers of the Museum of Science Boston, and the Board of Directors of the Blue Hill Observatory. 2018 Fellow of the American Association for the Advancement of Science (AAAS) https://www.aaas.org/news/aaas-honors-accomplished-scientists-2018-elected-fellows, November 2018. 2017 Climate Literacy and Energy Awareness Network (CLEAN) 2017 Friend of the Planet Award from the National Center for Science Education https://ncse.com/news/2017/02/friend-darwin-friend-planet-awards-2017-0018458, February, 2017. 2014 Climate.gov Teaching Climate Webby and Peoples Voice awards in the Green category from the International Academy of Digital Arts and Sciences, http://webbyawards.com/winners/2014/web/general-website/green/, April 2014. 2013 Journal of Geophysical Education Outstanding Paper award for "A Model for Enabling an Effective Outcome-Oriented Communication Between the Scientific and Educational Communities" by Ledley, Taber, Lynds, Domenico, and Dahlman, http://nagt-jge.org/doi/abs/10.5408/11-234.1, August 2012. 2012 Federation of Earth Science Information Partners (ESIP Federation) Presidents Award for significant contributions to the ESIP Federation http://www.esipfed.org/presidents-award, http://www.terc.edu/newsroom/1725.html, January 2012. 2011 Science Prize for Online Resource in Education (SPORE Award) from Science Magazine for the Earth Exploration Toolbook http://serc.carleton.edu/eet, http://www.eurekalert.org/pub_releases/2011-09/aaft-jg092311.php, September 2011. Dr. Ledley's early work in Earth system science education included developing museum exhibits that bring near real time images of the Earth to the public, contributing science content to planetarium shows, directing teacher training programs in the Earth sciences, developing Earth system science learning activities for the GLOBE program and serving as lead author of the Earth as a System investigation in the GLOBE Teachers Guide, and developing scientific research programs for the participation of students. Dr. Ledley is a founding member and chair of the CLEAN Network (formerly Climate Literacy Network (http://www.cleanet.org/cln). This work has led to a number of projects. The first is an NSF National Science Digital Library (NSDL, http://www.nsdl.org) and Climate Change Education grant to develop the "Climate Literacy and Energy Awareness Network (CLEAN) Pathway" (http://cleanet.org), a stewarded collection of inquiry-based educational resources that will help learners understand the Essential Principles of Climate Science (http://cleanet.org/cln/climateliteracy.html). This work has received continuing funding for CLEAN Core services from NOAA. The second is an NSF DRK12 and Climate Change Education grant, "Confronting the Challenges of Climate Literacy" project to develop a set of three EarthLabs modules (http://serc.carleton.edu/earthlabs) on climate change that will serve as a the laboratory component of a high-school capstone course in Earth and space science; and conduct a study, using those modules of the obstacles to student understanding of change over time and how to overcome those them. Others include the NASA Global Climate Change Education Program funded "Earth System Science: A Key to Climate Literacy" project, and the NSF funded project "Facilitating a Deeper Student Understanding of Change in the Earth System on Multiple Time Scales" project. Dr. Ledley has also been involved in a spectrum of projects that focus on the facilitation of the use of Earth science data in educational contexts and leverage the national digital library efforts. She received NSF NSDL grants to develop the Earth Exploration Toolbook (EET, http://serc.carleton.edu/eet), an online resource that provides step-by-step instructions for the use of an Earth science dataset and data analysis tool by teachers in the classroom; and to run innovative professional development workshops focused on specific datasets and analysis tools in the EET (http://serc.carleton.edu/eet/workshops.html). She also received NSF grants to lead the Digital Library for Earth System Education (DLESE) Data Services and AccessData (http://serc.carleton.edu/usingdata/accessdata) projects that focused on bridging the communication gap scientific and educational communities to make more Earth science datasets accessible and available to teachers and students; and the Tools for Data Analysis in the Middle School Classroom (DataTools, http://serc.carleton.edu/eet/msdatatools) project that facilitates middle school teachers learning and adapting IT tools and Earth science data for use in the classroom. Dr. Ledley was a member of the National Research Council Roundtable on Climate Change Education. She has served as chair of the Standing Committee for Education, and as Vice-President for the Earth Science Information Partners (ESIP, http://www.esipfed.org/), and is a member of the Board of Trustees of the Foundation of Earth Science for the ESIP Federation. She is also a member of the External Advisory Board for the Byrd Polar Research Center at the Ohio State University and the Board of Overseers of the Museum of Science, Boston. In her role as chair of the CLEAN Network she has coordinated multiple interdisciplinary and transdisciplinary sessions for the AGU and GSA annual meetings. She has also served as the chair of the Committee on Global and Environmental Change of the American Geophysical Union (AGU) and chair of the panel to develop the original AGU position statement on Climate Change and Greenhouse Gases in 1998; and as chair of the panel for GSA to develop a position statement titled Promoting Earth Science Literacy for Public Decision Making in 2012. TERC, Cambridge, Massachusetts, Senior Scientist, 1997-2017, Center for Science Teaching and Learning: Chair 2011-2016, Co-Director 2006-2016. McNeal, K.S., J.C. Libarkin, T.S. Ledley, K. Ellins, EarthLabs: A Model for Supporting Undergradaute Student Inquiry about Change over Time and Space, submitted for publication as a chapter in Active Learning in College Science, The Case for Evidence-Based Practice, Joel J. Mintzes and Emily M. Walter, Editors, Springer Nature, Publishers. in press, 2019. Ledley, T.S., J. Rooney-Varga, F. Niepold, Addressing Climate Change Through Education, Encyclopedia of Environmental Science, Oxford University Press, 2017, DOI: 10.1093/acrefore/9780199389414.013.56. Gold, A.U, T.S. Ledley, S.B. Sullivan, K.B. Kirk, M. Grogan, Supporting Energy Education Online: Climate Literacy And Energy Awareness Network (CLEAN), The Journal of Sustainability Education, January 2015, http://www.jsedimensions.org/wordpress/content/supporting-energy-education-online-climate-literacy-and-energy-awareness-network-clean_2015_01/. Kirk, K, S.B. Sullivan, A.U. Gold, T.S. Ledley, C.A. Manduca, D. Mogk, K. Wiese, Undergraduate Climate Education: Motivations, Strategies, Successes, and Support, Journal of Geoscience Education, vol 62, No. 4, pp. 538-549, November 2014, doi: 10.5408/13-054, http://nagt-jge.org/doi/full/10.5408/13-054. McNeal, K, J.C. Libarkin, T.S. Ledley, E. Bardar, N. Haddad, K. Ellins, S. Dutta, The Role of Research in On-line Curriculum Development: The Case of EarthLabs Climate Change and Earth System Modules, Journal of Geoscience Education, Vol. 62, No 4, pp. 560-577, November 2014, doi: 10.5408/13-060.1, http://nagt-jge.org/doi/full/10.5408/13-060.1. Sullivan, S., T.S. Ledley, S. Lynds, Navigating Climate Science in the Classroom: Teacher Preparation, Perceptions and Practices, Journal of Geoscience Education, Vol. 62, No. 4, pp. 550-559, November 2014, doi: 10.5408/12-304.1, http://nagt-jge.org/doi/full/10.5408/12-304.1. Ledley, T.S., A.U. Gold, F. Niepold, Enabling Climate and Energy Literacy – A Shared Effort, Eos, v95, 36, 325-326, September 2014, DOI: 10.1002/2014EO360002. Ledley, T.S, A.U. Gold, F. Niepold, M. McCaffrey, S.B. Sullivan, C.A. Manduca, S. Fox, Moving Toward Collective Impact in Climate Change Literacy – The Climate Literacy and Energy Awareness Network (CLEAN), Journal of Geoscience Education, vol.62, No. 3, pp. 330-342, Sept 2014, doi: http://dx.doi.org/10.5408/13-057.1. Ellins, K.K, T.S. Ledley, N. Haddad, K. McNeal, A. Gold, S. Lynds, J. Libarkin, EarthLabs: Supporting Teacher Professional Development to Facilitate Effective Teaching of Climate Science, Journal of Geoscience Education, vol.62, No. 3, pp. 307-318, Sept 2014, doi: http://dx.doi.org/10.5408/13-059.1. Ledley, TS, E Bardar, N Haddad, EarthLabs – StudentCentered Labs to Engage High School Students, In the Trenches, vol 3, no 3, pages 1-2, July 2013.Ledley, T.S., Promoting Climate Literacy, Public Gardens, Journal of the American Public Garden Association, v.27, 39-40, http://www.publicgardens.org/files/images/2012Vol2-3/index.html, Summer/Fall 2012. Ledley, T.S., N. Haddad, E Bardar, K. Ellins, K. McNeal, J. Libarkin, EarthLabs – An Earth System Science Laboratory Module to Facilitate Teaching About Climate Change, The Earth Scientist, v.28, n.3, p19-24, https://www.nestanet.org/cms/content/publications/tes, September 2012. Gold, Anne U., T.S. Ledley, S.M Buhr, S. Fox, M. McCaffrey, F. Niepold, S. Lynds, Peer-Review of Digital Educational Resources: A Rigorous Review Process Developed by the Climate Literacy and Energy Awareness Network (CLEAN), Journal of Geoscience Education, v.60, 295-308, http://dx.doi.org/10.5408/12-324.1, 2012. Ledley, T.S, M.R. Taber, S. Lynds, B. Domenico, L. Dahlman, A Model for Enabling an Effective Outcome-Oriented Communication Between the Scientific and Educational Communities, Journal of Geoscience Education, v.60, no. 3, pp 257-267, doi: 10.5408/11-234.1, http://nagt-jge.org/doi/abs/10.5408/11-234.1, August 2012. Taber, M.R., T.S. Ledley, S. Lynds, B. Domenico, L. Dahlman, Geoscience Data for Educational Use: Recommendations from Scientific/Technical and Educational Communities, Journal of Geoscience Education, v 60, no. 3, pp249-256, doi: 10.5408/12-297.1, http://nagt-jge.org/doi/abs/10.5408/12-297.1, August 2012. Ledley, T.S., Promoting Climate Literacy, Public Gardens, Journal of the American Public Garden Association, v.27, 39-40, http://www.publicgardens.org/files/images/2012Vol2-3/index.html, Summer/Fall 2012. Ledley, T.S, L. Dahlman, C. McAuliffe, N. Haddad, M. Taber, B. Domenico, S. Lynds, M. Grogan, Making Earth Science Data Accessible and Usable in Education, Science, vol 333 no. 6051 pp1838-1839, DOI: 10.1126/science.1199348, http://www.sciencemag.org/content/333/6051/1838.summary, September 30, 2011. Ledley, T.S., A. Prakash, C.A. Manduca, and S. Fox, "Recommendations for Making Geoscience Data Accessible and Usable in Education" EOS, v89, n32, p291, August 5, 2008, (DOI: 10.1029/2008EO2003) http://onlinelibrary.wiley.com/doi/10.1029/2008EO320003/abstract. Ledley, T.S., L. Dahlman, C. McAuliffe, N. Haddad, The Earth Exploration Toolbook: Facilitating Access to Scientific Data and Tools, Journal of Geoscience Education, 54 n.3, 223-229, 2006. Ledley, T.S., L Dahlman, B. Domenico, and M.R. Taber, "Facilitating the Effective Use of Earth Science Data in Education through Digital Libraries: Bridging the Gap between Scientists and Educators" , IEEE Technical Committee on Digital Libraries Bulletin, v 2, no 1, http://www.ieee-tcdl.org/Bulletin/v2n1/ledley/ledley.html, 2005. Ledley, T.S., C. McAuliffe, L. Dahlman, Earth Exploration Toolbook: Educational Uses of Earth System Science Datasets and Tools, ), Focus on Earth Science; NSDL as a Research Tool, Project Kaleidoscope Volume IV: What Works, What Matters, What Lasts, http://www.pkal.org/template2.cfm?c_id=1413, August 27, 2004. Ledley, T.S., N. Haddad, J. Lockwood, D. Brooks, Developing Meaningful Student-Teacher-Scientist Partnerships, Journal of Geoscience Education, 51, 91-95, 2003. Ledley, T.S., Energy Balance Model: Surface, Encyclopedia of Atmospheric Sciences, Elsevier Science Ltd, London, 747-754, 2003. Ledley, T.S., E.T. Sundquist, S.E. Schwartz, D.K. Hall, T.L. Killeen, and J.D. Fellows, Climate Change and Greenhouse Gases, EOS, 80, 453-454 & 457-458, 1999. Ledley, T.S. and Z. Huang, A Possible ENSO Signal in the Ross Sea, Geophysical Research Letters, 24, 3253-3256, 1997. Ledley, T.S. & S. Chu, The Initiation of Ice Sheet Growth, Milankovitch Solar Radiation Variations, and the 100 KYR Ice Age Cycle, Climate Dynamics, 11, 439-445, 1995. Ledley, T.S., Summer Solstice Solar Radiation, the 100 KYR Ice Age Cycle, and the Next Ice Age, Geophysical Research Letters, 22, 2745-2748, 1995. Ledley, T.S. and S. Chu, Global Warming and the Growth of Ice Sheets, Climate Dynamics, 9, 213-219, 1994.